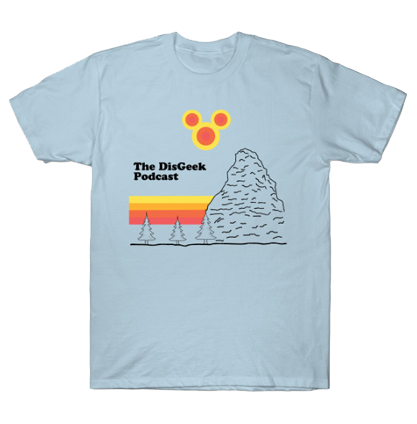 The DisGeek Podcast was there to record it all! Check out Episode 86 and listen to the awesomeness that was this panel. LOS ANGELES (Friday, February 13, 2013) – ScareLA, the Southern California Halloween convention, is excited to announce its expansion to a new venue, the Pasadena Convention Center for the event’s 2015 edition on August 8 and 9, 2015. The move will increase the con’s show floor to over 100,000 sq. ft. to accommodate a growing list of vendors, attractions, and entertainment. Tickets presale is scheduled to launch within the following week with aggressive discounts for fans and e-mail list subscribers. Debuting in 2013, ScareLA was created to celebrate the rich Southern California Halloween industry and community, from its iconic seasonal theme park events, to stand-alone haunted attractions and even home haunts. The event has become a mecca for horror lovers on the West Coast and beyond extending the Halloween season through the summer. Attracting nearly 4,000 guests in 2013, and more than 6,000 in 2014, ScareLA has become one of the fastest growing independent conventions in the U.S. to-date. “We’re very excited by ScareLA’s rapid growth, and the Pasadena Convention Center allows us to provide room for more guests, more exhibitors, larger displays, and bigger monsters,” says ScareLA Executive Producer and Co-Founder David Markland. Featuring multiple parking lots, hotels, convenient public transportation, and fantastic dining options all within walking distance, the Pasadena Convention Center makes attending ScareLA easier than ever before. The 2015 ScareLA program will take advantage of the new venue’s larger stages to host exclusive presentations from fan favorites such as Knott’s Scary Farm, Universal Studios Hollywood’s Halloween Horror Nights, Queen Mary’s Dark Harbor, Six Flags Magic Mountain’s Fright Fest and more! Guests returning to ScareLA will find a larger show floor with more Halloween/horror vendors, expanded classroom and workshop spaces, and a wide variety of live entertainment and immersive “mini haunt” experiences. For more information and to sign up for ScareLA’s email list, visit www.scarela.com. Like ScareLA on Facebook at www.facebook.com/ScareLAcon, and follow us on Twitter and Instagram at @ScareLosAngeles. Join the conversation on social media using #ScareLA. ScareLA is the Southern California convention dedicated to Halloween. It celebrates the unique spirit of the American scare season traditions and the deep local heritage of the Greater Los Angeles region. Founded by Lora Ivanova and David Markland in 2013, ScareLA is produced in partnership with Theme Park Adventure. Featuring more than 150 specialty vendors, hands-on workshops, world-class industry panels and presentations, ScareLA is a large-scale summer festival of all things Halloween, a $10 billion industry worldwide.